The excitement of opening up the throttle and gaining true unrestricted freedom is pure bike heaven! 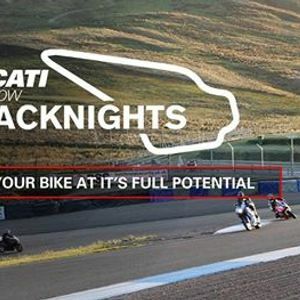 Circuits are the natural intended environment for most modern sports bikes, where you can experience your bike at it’s full potential, while having great fun with like-minded friends. 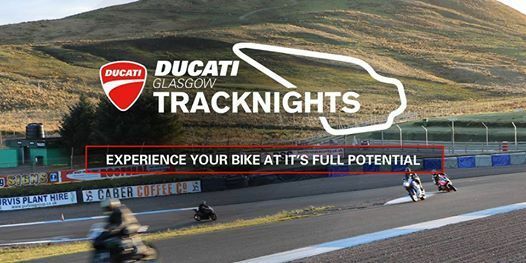 Our track nights are for all makes and models of motorcycles, and not just Ducati bikes. All skill levels can take part, from novice to professional for a two hour open session. As part of our ongoing commitment to our customers we organise track evenings. We do this because they are great fun and the natural intended environment for most modern sports bikes, and not just Ducati models. The best way to approach a track evening is to view the circuit as a safe stretch of road that you can learn easily and become very familiar with. The track is somewhere you can forget about all of the usual concerns about road riding. The emphasis is on fun and safety. Just because the speeds are generally higher, doesn't mean the danger is. This is one of the only times you will ride your motorcycle in a controlled and supervised environment, where every corner is being supervised by a trained professional marshall. You can experience your motorcycle at its full potential and there are no speed limits on the circuit. Track riding has been proven to make you a better road rider, you can spend time working on your lines, lean angle, corner execution and more. It’s also great to meet others who enjoy fast bikes!